We have more for you. Yes, this is part two of a list of foreign language features recommended to you by us at musicMagpie. For more information on what this thread is about, read part one of this blog post. Okay this is a silent picture, but the film has Russian intertitles so this technically counts as a film that can join this here list. 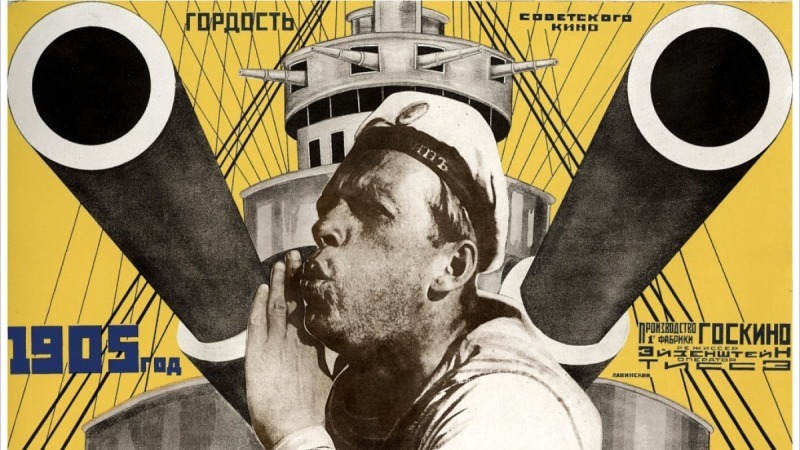 Commissioned as a twentieth anniversary commemoration of this event and as part of a celebration of the Communist regime (along with Strike and October), we are treated to a dramatic reconstruction of a 1905 mutiny aboard the titular sea vessel and the ensuing revolt against the Tsar. Let’s just ignore the political propaganda intentions for one moment (as we often do with DW Griffith’s The Birth of a Nation) and focus on the film in its other aspects. The Odessa Steps sequence is a marvel to be hold, both on a technical level (Eisenstein executing the montage technique to perfection) and dramatically (a baby carriage crashes down the stairs amidst the dead and dying and a woman holds her dead son as the Tsar’s army marches towards them), so much so that Brian De Palma paid tribute to it in the Grand Central shoot-out in The Untouchables (baby carriage and all). The BFI have lovingly restored this film, so feel free to check it out. Since the mid-2000s we have seen the rise of a new form of Eastern European cinema, in the form of the Romanian New Wave. The general aesthetic of these films are that they are minimalist, realist, deal with aspects of the Ceausescu regime (with the likes of The Death of Mr. Lăzărescu and Aferim being the exception) and themes of liberty and resilience and are laced with black humour. Out of the many features released since this movement’s inception in 2004, the crowning achievement has to be Cristian Mungiu’s 2007 Palme d’Or winner 4 Months, 3 Weeks and 2 Days. In the dying days of Communist Romania, two students seek an illegal abortion while trying to stay one step ahead of the authorities. If you’re looking for something that breaks from the mainstream, and causes a bit of a stir (the film was brought up in the anti-abortion debate at the time of its release), you are in luck. Here is a movie that doesn’t hold back, is blunt and forthright in its depiction of trying to access services prohibited by a totalitarian regime (the final abortion sequence is quite a sight to behold). The film is also visually striking in its neon colour scheme, despite having a very minimalist feel to it (like most features in the Romanian New Wave). Before he stunk up the screen with 2010’s The Tourist, Florian Henckel von Donnersmark presented us with this intelligent examination into life behind the Iron Curtain in 2006’s The Lives of Others. We had one major hitter from 2006 on the previous list (Pan’s Labyrinth), so it only feels fitting we include the other. The film tells the story of a STASI (East Germany’s answer to the Gestapo, my father had a friend who was a member) agent and his obsession with a married couple whom he is assigned to spy on. In Germany (particularly in the east of the country), there is a concept known as ‘Ostalgie’ where people feel a sense of nostalgia for the old German Democratic Republic. It’s a good thing we have this movie to extinguish those warm fuzzy feelings and bring the good folks of the east back down to earth. First of all, we have a story that isn’t afraid to show the dying days of East German regime and makes a great character study of a man longing for a better life. The film’s cinematography with its use of washed out colours perfectly recreates East Berlin and the imposing nature of the regime (similar to TV series Deutschland ’83 contrasting the drab greys and browns of East Germany with the more bright and vibrant colour scheme of the west). What really makes it worth watching is the lead performance of lead actor Ulrich Mühe (an actual vocal critic of the regime in the eighties) who tragically passed away from cancer a year after the film was released, but really proves it was a send-off worthy of the posthumous BAFTA nomination he received a year later. Chan-wook Park has, and probably always will be, a filmmaker whose methods are not for the faint-hearted. In a career that has seen him go to some surrealist places (2005’s I’m a Cyborg, But that’s OK), travel across the globe (2013’s Stoker) and attempt to put his stamp on established genres (2009’s Thirst), what makes him stand out here are his literary adaptations in last year’s lesbian drama The Handmaiden (see honourable mentions) and the subject of this entry Oldboy. Adapted from the 1996-98 manga of the same name, the film concerns a man hunting for answers as to why he was imprisoned for the last fifteen years. The film gives Park a lot of opportunities to show off his visual flair from sequences of violent bloodshed (including a stylised takedown of villains with a hammer) as well as offering an engaging neo-noir storyline. Quentin Tarantino would be proud of some of these sequences, in fact I believe the film’s Grand Jury Prize win at the 2004 Cannes Film Festival Tarantino was presiding over means he was. Keep a close-eye out for some oedipal allegories owing to Park’s education in philosophy before becoming a filmmaker. Fun fact about this movie: main actor Min-sik Choi had to meditate after the scene where the main character eats live octopi owing to his status as a Buddhist. Be sure to make sure you check this out and don’t confuse it with Spike Lee’s 2013 English language remake. To round off this list, who’s up for a bit of martial arts (or in this case, Wuxia)? Yes, we bring you the film that brought Taiwanese cinema to the mainstream attention of twenty first century audiences, Crouching Tiger, Hidden Dragon. Filmmaker Ang Lee had already made his name in the English speaking world in the late nineties with his cinematic adaptations of Sense and Sensibility and The Ice Storm, but this is the film in which he really came into his own. Adapted from the third novel in Wang Dulu’s Crane-Iron series, the film tells the tale of a man who steels a sword from a master swordsman and flees into a romantic fantasy against the backdrop of the Qing dynasty. With a plot laden with Asian philosophical ideals, the technical aspects help to enhance the viewing experience of this feature. In particular Peter Pau’s cinematography that captures death-defying stuntwork and the vibrant colour scheme of feudal China (I would really love to decorate my bedroom with some of those decals). Of course we can’t forget other things such as Tan Dun’s score, the performances from the main cast (including John Woo collaborator Chow-Yun Fat and former Bond girl Michelle Yeoh) and the editing work of Tim Squyres. Among other features that would make a good marathon along with this film include (see honourable mentions) A Touch of Zen (King Hu, 1971) and the similar Jet Li vehicle that followed two years later Hero (Zhang Yimou, 2002). Shame Lee had to follow this up with a rather mediocre take on the Hulk, but at least Brokeback Mountain was just around the corner. And whatever you do, steer well clear of Netflix’s original sequel from 2016. You can find all of the films in this post, plus many more, in the musicMagpie Store’s World Cinema collection. Check it out today and save on some truly brilliant movies. Why wouldn’t you?